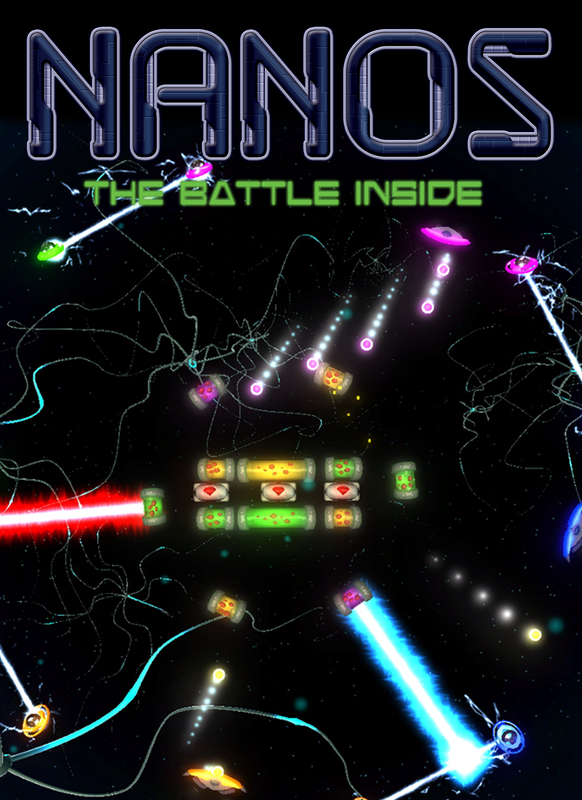 Nanos is another retro revolution title from one of the creators of Roche Fusion developing it together with Excamedia. This time it is the old wall and bounce games that got pulled to this day and age with HD graphics, loads of modern gameplay elements added, different gameplay modi and above all multiplayer fun. Play alone in storymode or let a friend join in and defeat all the challenges ahead together. Play with your friends in 1 vs 1, 1 vs 3, 2 vs 2 or battle royal. Use your weapons and skills to get the most points and sabotage the other players. It all started with a very early build which we showed at First Look, but already attracted 800 players in only two days. Which was based on this fake gametrailer I made, just to show my concept. So after a total of 4 months of hard work, we decided to put NANOS on Greenlight and after 2 months of hard work and a lot of support it got Greenlit. At that same time, also seemed to get that certain feel that would appeal to more people. And now we are here, aiming for early access, with still a lot of things we are wishing for to get in the final product, like online gameplay, different game modes and perhaps even a level editor. But for now let us close of with this as a big thank you, to the whole community. Now on Steam Greenlight: Nanos, a multiplayer brick-breaking game. Help us with your vote! Hereby the early alpha of Nanos in which you can try the partymodus.